Jan Vertonghen is out until December with a hamstring injury, Tottenham have announced. The 31-year-old defender was injured in the Premier League win at Huddersfield last month. Spurs said: "The Belgium international defender will now continue his recovery with a view to returning to full training by December." 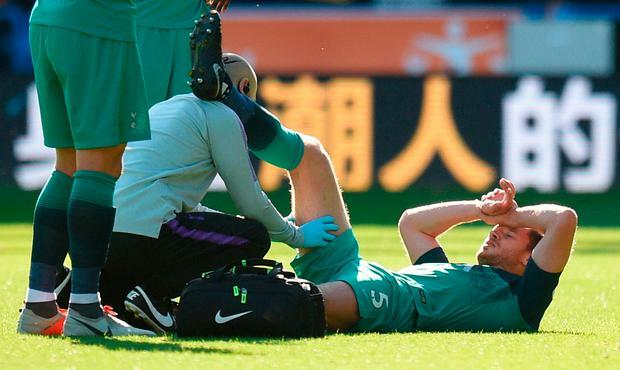 Vertonghen is poised to miss Premier League matches with West Ham, Manchester City, Wolves, Crystal Palace and Chelsea, plus the Champions League double header with PSV Eindhoven which could see Spurs eliminated from the competition after earlier losses to Inter Milan and Barcelona. Belgium boss Roberto Martinez last week said Vertonghen would miss the international breaks this month and in November due to the problem. Spurs boss Mauricio Pochettino was frustrated Martinez revealed the news, insisting the full extent of the defender's injury was not yet known. Vertonghen had a further scan, the results of which show the extent of the problem. Vertoghen sustained the injury in a collision with Huddersfield striker Laurent Depoitre early in the game, but continued until half-time, thinking it was a dead leg.